Photo: Courtesy of Rouge New York. Having our makeup professionally done is one of those little luxuries that puts some pep in our steps, until we pep on home and realize we are ill-equipped to recreate this look for ourselves. We might have piles of products, but the end result never looks as polished as the pro application. Thankfully, Rouge — the salon that showed us how to rock some frosted makeup — offers a new service, The Ransack, which simultaneously cleans out your makeup drawer and teaches you a few tricks of the trade. Genius, right? After what’s sure to be an intense heart-to-heart, your new friend consultant will apply your makeup with the remaining products so you can learn how to get the most out of the tools you have. Have you ever enjoyed a more productive and indulgent afternoon? We didn't think so. 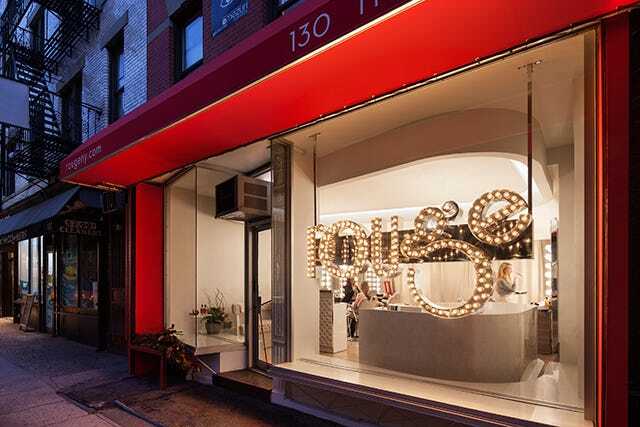 Rouge New York, 130 Thompson Street (at Prince Street); 212-388-1717.